“Brands So Popular They Don’t Need to Advertise!” “10 Companies That Don’t Do Marketing!” You’ve seen the headlines, you’ve rolled your eyes, and you’ve probably still clicked through. But, let’s be honest, we all know there is no such thing as a brand that doesn’t advertise. And really, wouldn’t that take some of the fun out of it? We love being wooed by brands. And as marketers, we love figuring out how to woo our audiences. The thing that sets the brands on this list apart is simply how they allocate their marketing dollars. They defy the best practices that most marketers live by today, and it sets them apart and generates buzz because of its inherent uniqueness. So, here are 9 brands that don’t do traditional marketing and what you can learn from each of them. 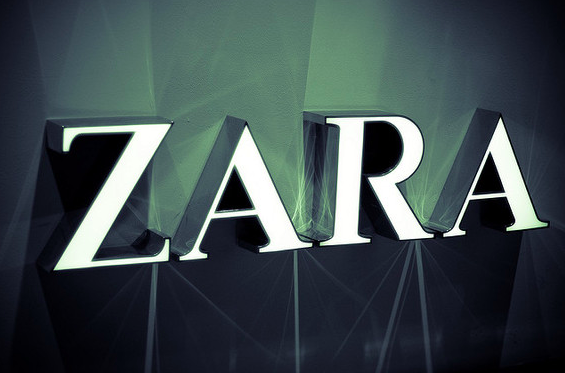 Zara’s first retail fashion store opened in 1975 and, as of 2016, it boasted 2000 stores in 77 countries. They’ve built an empire based on their reputation as a company whose technology and automation allows them to analyze trends and consumer feedback to get fashion from the runway to the racks in a matter of days. They eschew traditional marketing tactics in a few ways. First, they target men, women, and children in highly populated cities. Second, they produce cheap, fashionable clothing, with a high attention to detail. 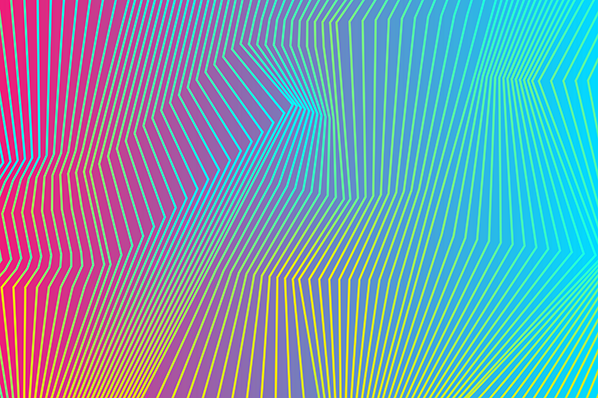 And third, they only produce a limited number of each piece to create a sense of urgency among their consumers. They’ve also mastered the art of influencer marketing. The Duchess of Cambridge gave the brand a huge international boost when she wore a dress of theirs the day after her wedding to Prince William. The Takeaway for Your Brand? Target your product or service well, don’t be afraid to rely on word of mouth, and foster an influencer channel that is loyal to your brand. Today, you’ll find more traditional marketing channels available to Zara’s fans (think Instagram, Pinterest, and Facebook). But the retailer built its empire with well-placed retail, on-trend offerings and some serious word-of-mouth. Instead of investing in TV commercials, Chambers says they invest in their employees. “Everybody at the stores is a marketer,” he explains. 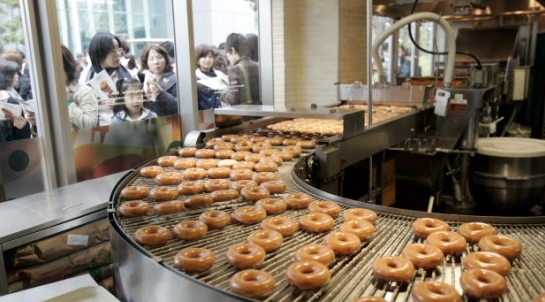 Every Krispy Kreme employee attends training at Krispy Kreme University. Here, they are taught doughnut making, customer service, and … marketing! They also invest in unique, highly visible locations, and always have a large window from the outside into the doughnut making. Another way to “eliminate the barriers between the brand and its customers and an invitation to step in and sample,” says Chambers. What barriers can you eliminate between your brand and its customers? Start by educating your team on your brand values. It might sound silly to teach your marketers to be marketers, but many times we hone in on metrics instead of who our brand is and how it should be communicating. He refuses to save money by importing cheaper chilis (all Sriracha chilis come from a family farm near Los Angeles, CA) or outsourcing production. And his strategy to focus on quality over cost-cutting seems to be working. Bon Appétit named Sriracha the “Ingredient of the Year,” and the company sells more than 20 million bottles of their sauce every year. Sriracha circulated their product amongst Asian chefs, before it caught on with the rest of the world. The brand also get huge boosts from internet influencers. The Oatmeal famously wrote a “love letter” to Sriracha, and the sauce has even spawned cookbooks from chefs like Randy Clemens. The Sriracha name can’t be trademarked because it’s a location in Thailand, and that means anyone can use the logo. Does Tran mind? Of course not. He considers it free advertising. Take quality seriously and run with any free advertising you can get (within reason, of course). Also, get your brand in front of the right people early on. 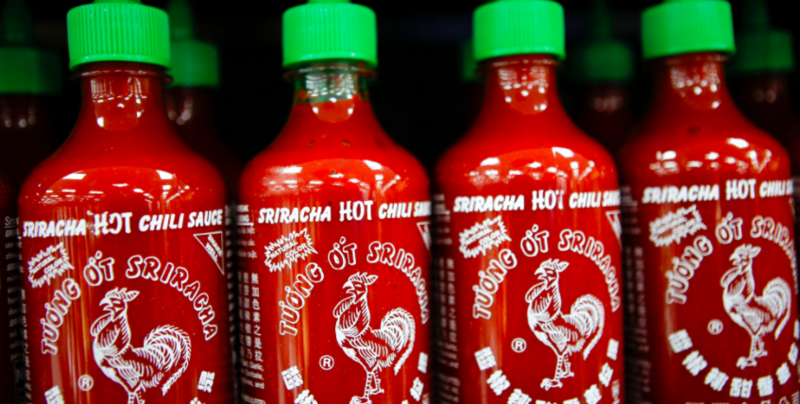 Sriracha first, ahem, caught fire with the chefs who knew pepper sauces best. Once they fell in love with the unwavering quality, they were happy to share the sauce with others. Google Trader Joe’s. Go on, do it. You’ll find their website and a Google+ page with one whole follower. That’s right. One of the most popular millennial brands has zero social media presence. What they do have is a business model that speaks to their people. And cookie butter. They have cookie butter. The one piece of marketing the food brand, owned by Aldi, does produce is The Fearless Flyer. The flyer is a print and online newsletter with a little quippy copy and a whole lot of discounts. It’s a staple for the brand, and the only promotional materials you’re likely to see from them. 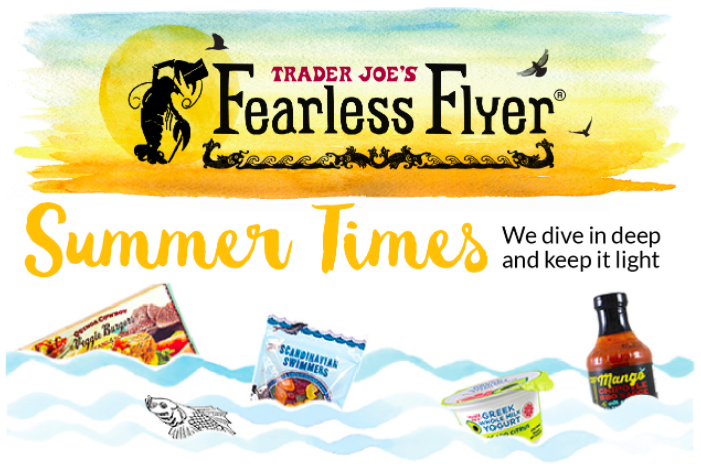 Yes, from the copious samples to the niche snacks you find yourself eating in bed at 11pm, Trader Joe’s has done an enviable job at branding themselves as an affordable, quality food chain. By purchasing directly from suppliers, kicking unpopular items to the curb faster, and foregoing traditional costs like marketing, they’re able to price their products in a range that is seriously affordable and seriously addicting. Don’t be afraid to eschew what’s expected in the marketing world, and take the road less fearlessly flown to create a truly one-of-a-kind customer experience. In 2015, the United States (and much of the rest of the world) was still clawing its way out of the worst global depression since WWII. It was also the year that Costco became the second largest retail brand in the world. Today, it’s holding on to a respectable spot in the top 10, and they did it all without advertising. 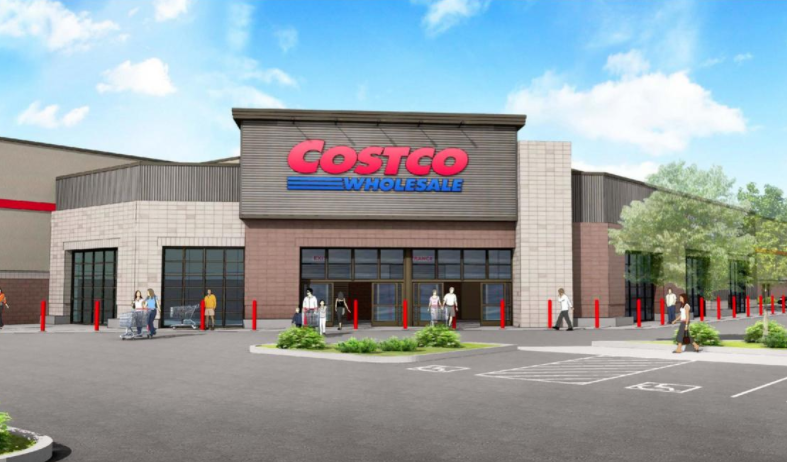 Costco prides itself on not having an advertising strategy, which allows them to reinvest two percent of their annual budget back into the company every year. It also allows them to pay workers an average of $20 an hour, leading to industry-low turnover rates, low prices, and stocks that have nearly tripled in value, resulting in very happy investors. Consider a membership over marketing if it’s right for your company. Costco’s membership simultaneously creates FOMO, while offering clear value and exclusivity. With a more than 90% renewal rate, it’s clear their business model is working. Are there ways you could create urgency for your customers to make a purchase? A membership provides you with a built in channel of qualified leads with which you can share exclusive discounts and offers, and expect a higher conversion rate in return. Is consumer experience the most effective form of marketing? That’s what cosmetic company Kiehl’s has long held as truth. “The key is to recognize that in terms of brand equity, all that really matters is that the customer develops a positive image," says Dartmouth marketing professor Kevin Keller. "Experience or word of mouth is probably the best way to do that, he continues." Kiehl’s created an unforgettable customer experience by offering extensive samples to customers, which gives way to lower-pressure sales. The skin- and hair-care company built a brand name for itself by offering a 100% money-back guarantee, staffing more than twice the industry average, and offering free consultations. This attention to detail is what has contributed to more than 150 years as a successful brand. The company even maintained its “no-advertising” style even after it was acquired by L'Oreal. A move that garnered them more -- you guessed it -- free advertising. 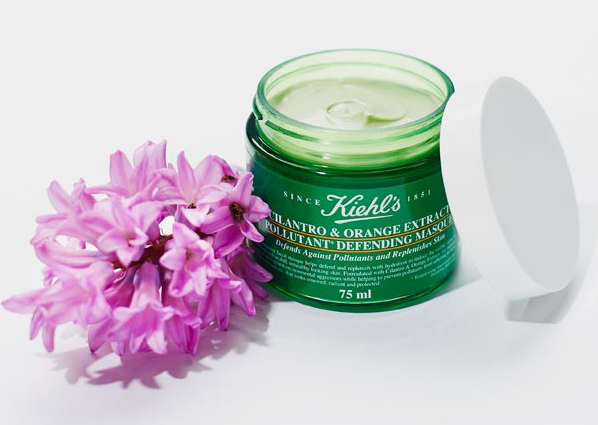 Today, Kiehl’s runs big-budget marketing campaigns like the rest of us. But it’s noteworthy that they were able to thrive for so long without one. While you may be tempted to go with that big “Send a 3D version of Your Face into Space” campaign idea, remember that it’s sometimes the attention to your customer’s experience that contributes to a legacy brand. Some of you may be thinking, “This is all great, but what if I just can’t afford to run advertising campaigns?” I hear you, and so does Spanx founder Sara Blakely. When Blakely started her undergarment brand, she didn’t run marketing spots because she couldn’t afford to. She also grew her billion-dollar brand without any help from outside investments or debt. Word of mouth is an admirable strategy, but sometimes it’s not enough to support your business. By combining word-of-mouth marketing with an influencer focus, Blakely and Goldman’s duel-punch strategy focused on developing their relationship with everyday users as well as celebrities. Do a gut check on your marketing or brand strategy to see if you’re paying less attention to one than the other, and try a more balanced approach for a bigger impact moving forward. Ok, ok, I know that Lululemon just announced they were launching their first-ever advertising campaign. But let’s look back at a simpler time. In 2016, Lululemon reported that 90% of their business transactions take place at full price. For years, they relied on the word-of-mouth, grassroots efforts rooted in how much their customers loved their product. Those poster-themed, inspirational tote bags you still see everywhere, the (mostly) friendly staff, and the conversion of stores into hubs for classes and community events all contributed to the brand’s rapid growth and popularity. But with even faster expansion of the athleisure industry, Lululemon finally threw in the $38 towel and announced in March of 2017 that they would be devoting more resources to traditional marketing. Don’t be afraid to pivot. 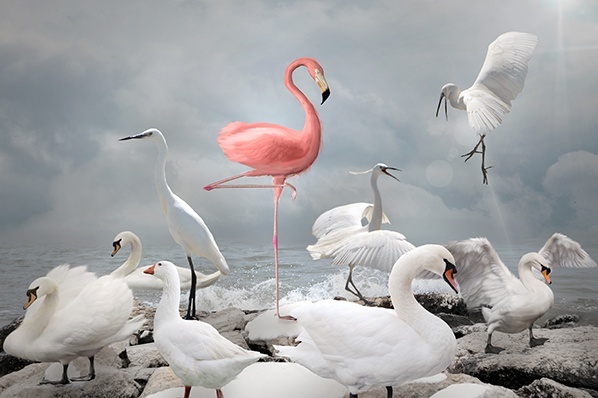 Even the most successful marketing strategies can grow stale. 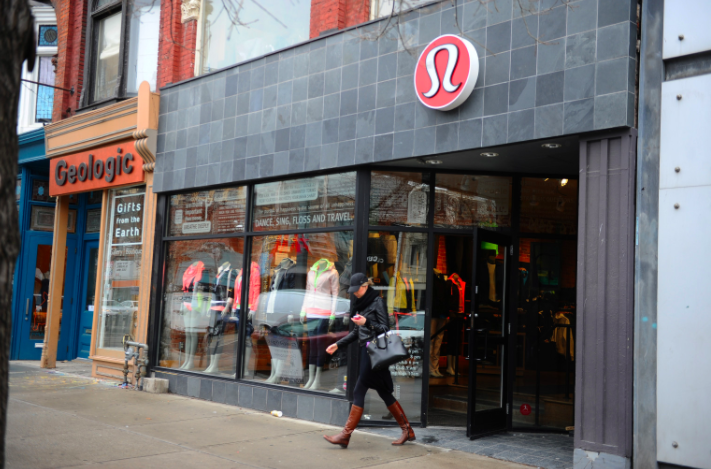 Lululemon was smart to spot competition creeping in and be open to expanding upon their impressive community-driven efforts. Don’t wait until you’re too far behind to catch up. 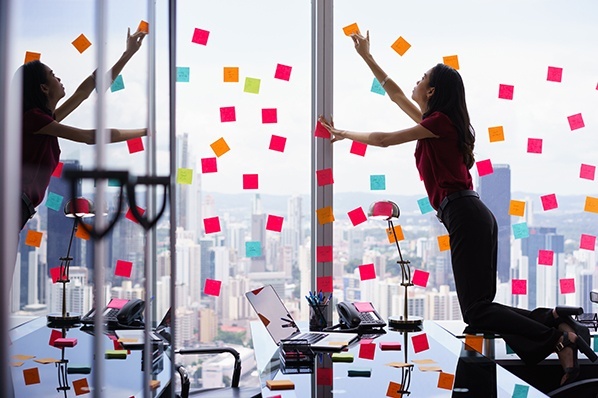 Stay on top of industry and niche growth, and pivot your marketing efforts accordingly — even if that pivot is creating a marketing strategy for the first time ever. This high-def camera company is another brand that dabbles in traditional marketing these days. But that’s not how they built their now-legendary social media following. Instead of the product, the end result is featured most prominently in GoPro’s videos. Their Instagram account is primarily user-generated content and boasts more than 12 million followers. But it’s their YouTube account that really sets this camera company apart. A steady stream of engaging, thrilling content has fostered a community of nearly 5 million subscribers. Those are people who find enough value in GoPro’s content that they subscribe to GoPro’s YouTube channel so that they never miss a post. It’s easy to think your company can’t invest in video until you actually have budget to invest. Jump into marketing’s biggest trend by sourcing user generated content, or grab your iPhone to film your boss introducing your latest eBook. Video can be a powerful way to build your audience and bring interest to your marketing efforts. Don’t wait until tomorrow to set your marketing on fire. Is There Such Thing As Traditional Marketing Today? Think big, think small, but please, think outside the box. These brands all have a few things in common. They’ve honed in on a pertinent user pain point, need, or want, and met those needs with either superb quality or the right price. These brands have also let their product or service do a bit of the talking. We’re always told that we need to loosen our grip on life a bit (Just me? Ok, cool. ), maybe these brands are a good reminder that it’s alright to loosen the grip on our marketing efforts a little too.